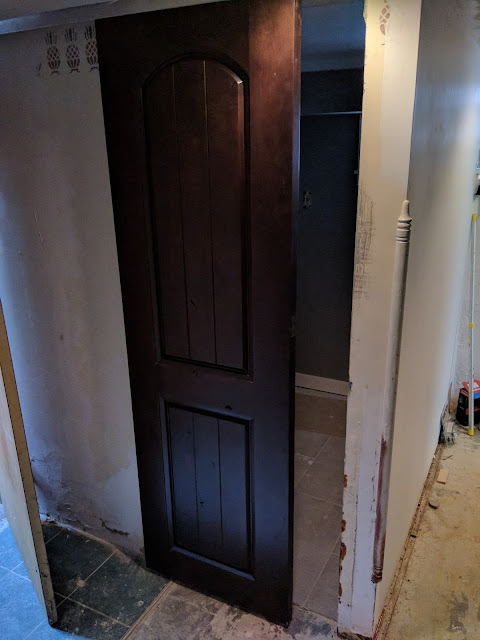 There is not a good way to hang a door in this small opening for this basement bathroom door. If it swung in it would be in the say and reduce the opening and if it swung out it could hit someone and just did feel right. 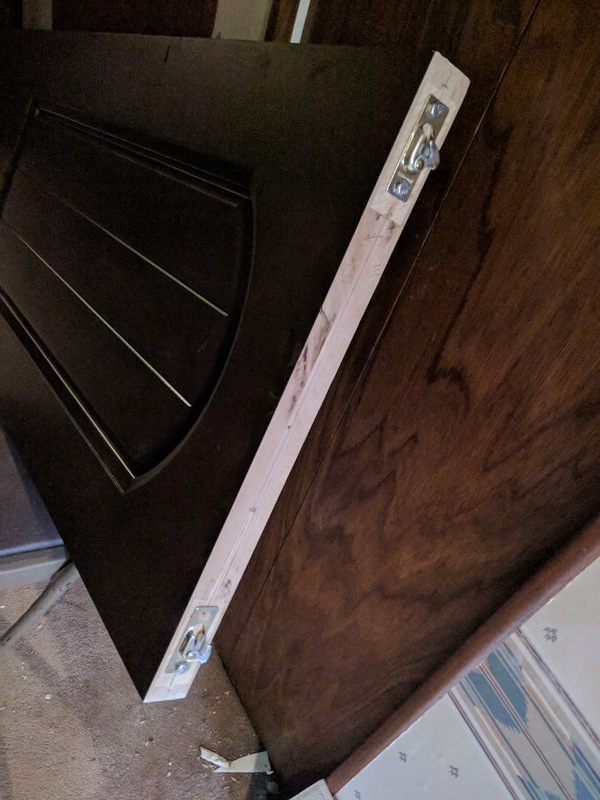 I paid $1 for the door on a lucky Ebay auction. It is a bit over kill but I think it turned out nice. I had to find a sliding track system that I could mount to the ceiling. 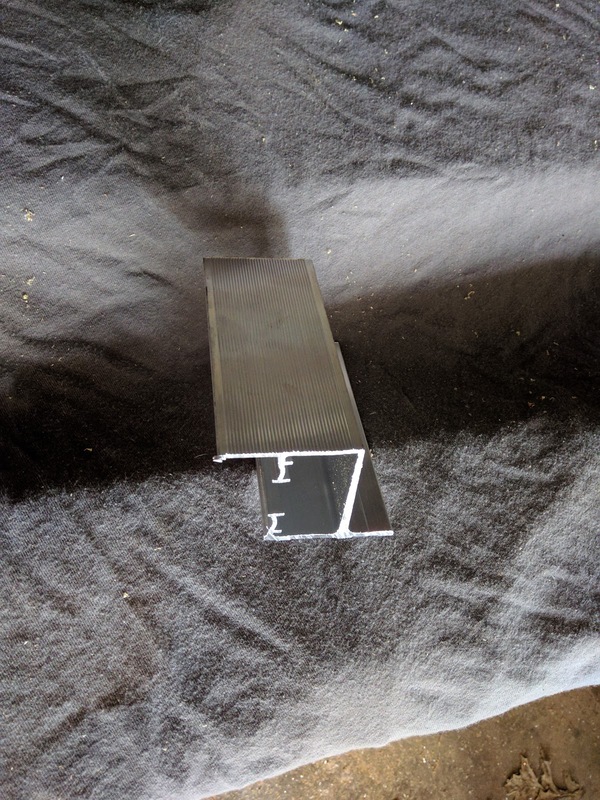 I ended up using this track system I found at Menard's. 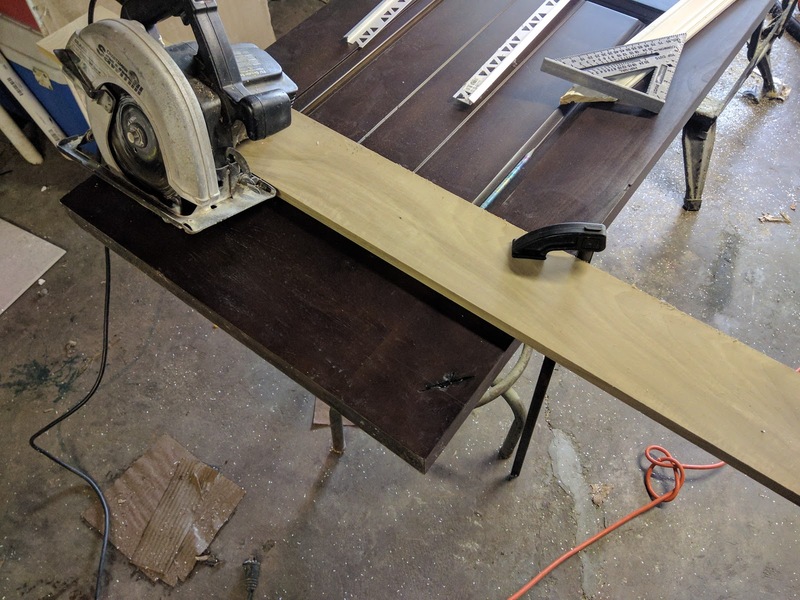 I had to re-engineer the track on the table saw so it could mount flush. 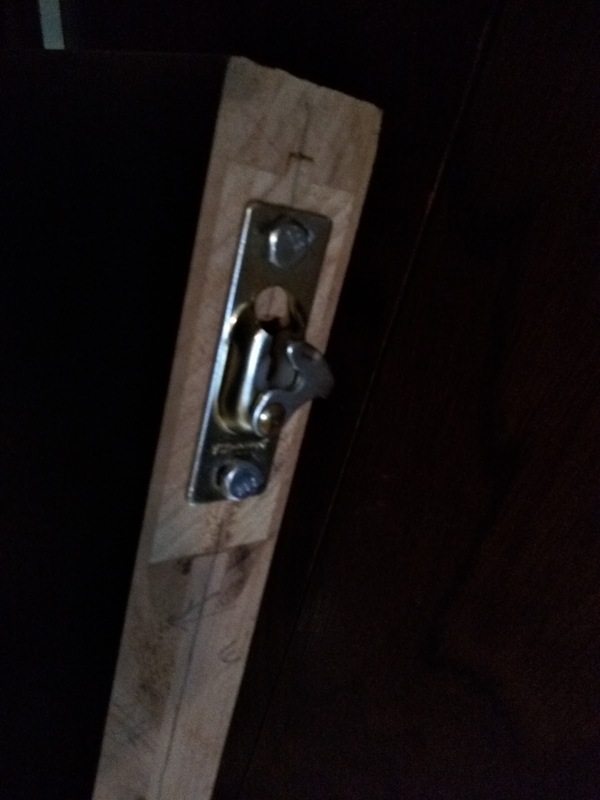 Used the best tool ever. An oscillating cutting tool. Just push it into the drywall. 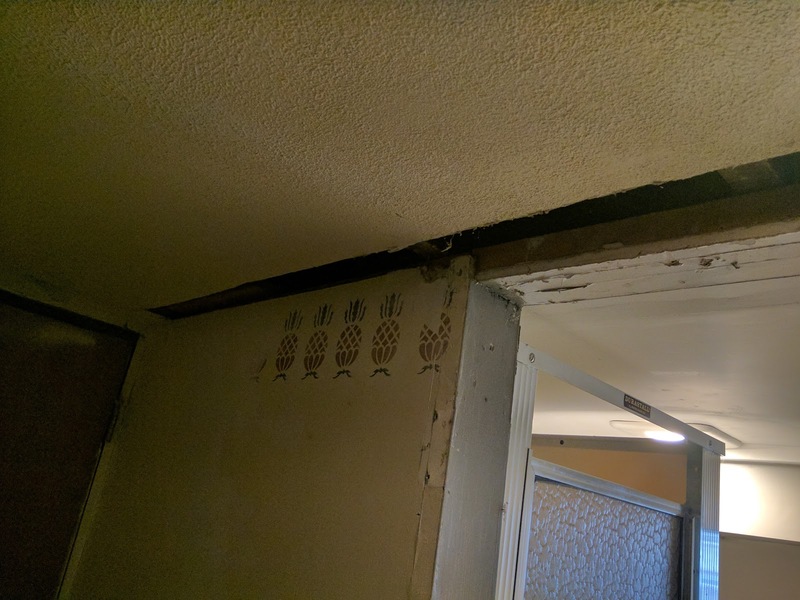 I was lucky the joists ran in the right direction. I had a problem with clearance so I had to cut a notch in the drywall. 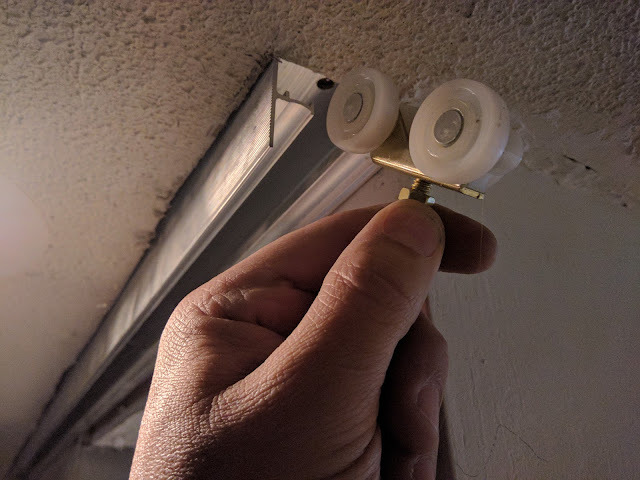 I drilled the track and then pre-drilled the joists so I could lag bolt it up. 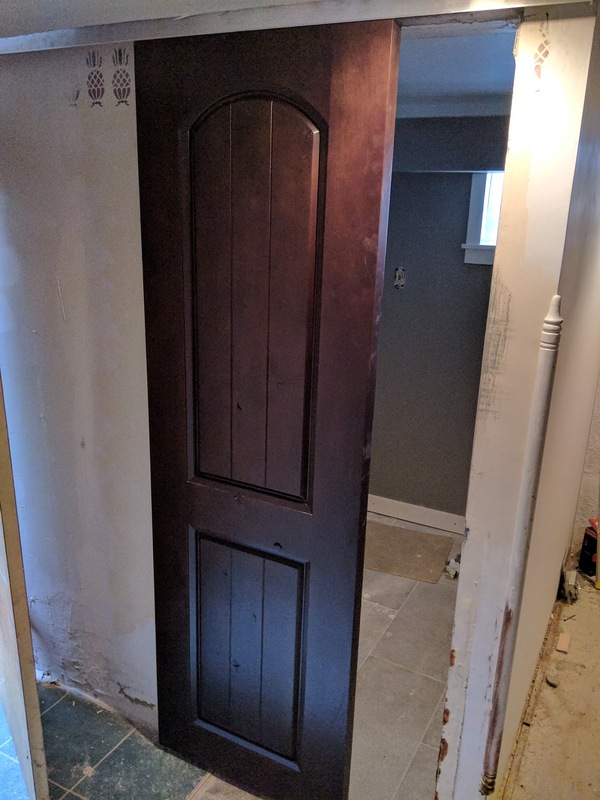 The door I have is very heavy. 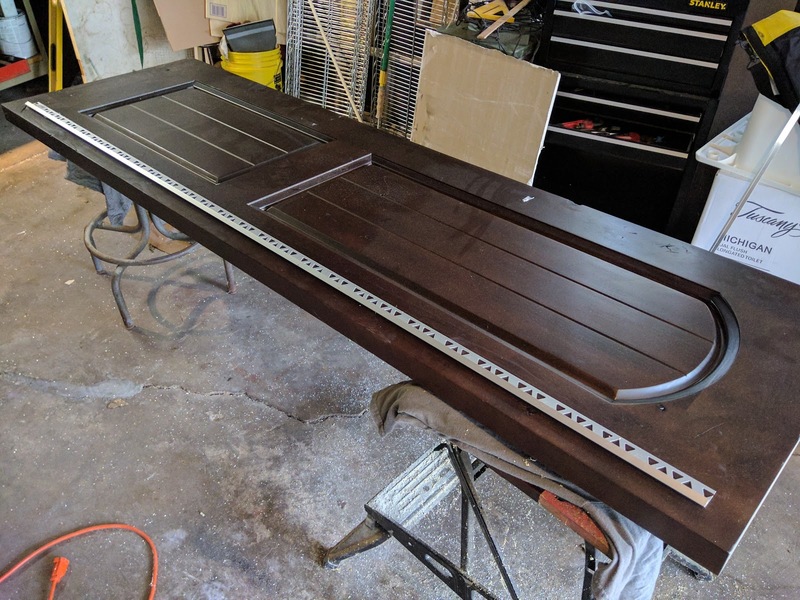 I got a great deal on this Knotty Alder 2 Panel Stained Door 24" X 80" X 1-3/4". I paid $1 on eBay. I dont think they thought it would only get one bid. 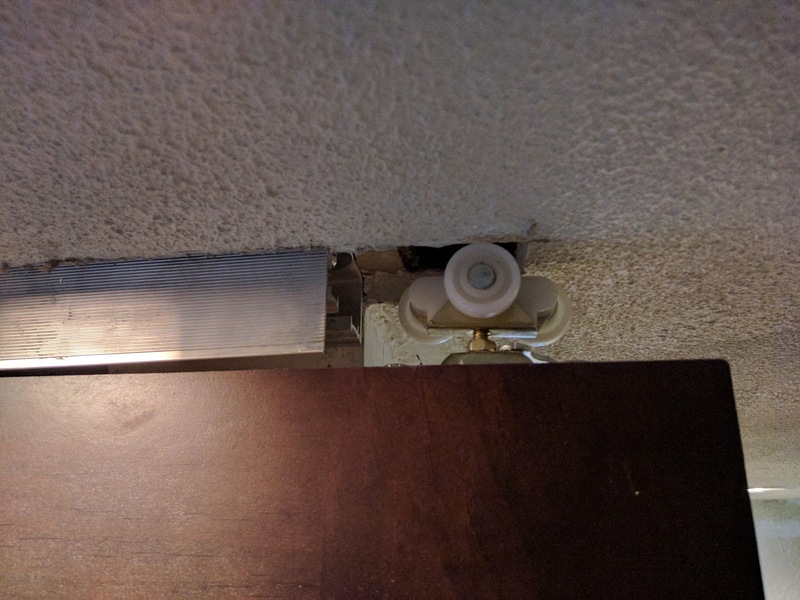 I used lag bolts to mount the bracket instead of the little screws that were provided. Boom! It worked. I can't believe it. I need to fix up the rest of the basement but this was one of the bigger jobs I had to engineer. 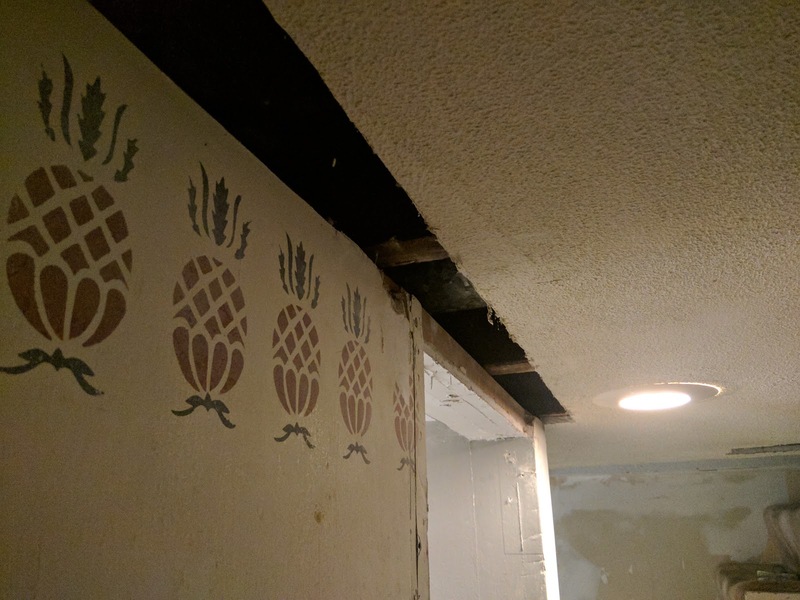 Everything is always a challenge in an old house. There are steps going out side to the left. That is why there is so much light. That is another project for another time.